Towards fulfilling my Dream of Discovering INDIA by Road is now started with my first Road trip to Gujarat, Kutch. I would like to share some of my great experience during trip, I hope it will surely help you, if you are also planning for the same. 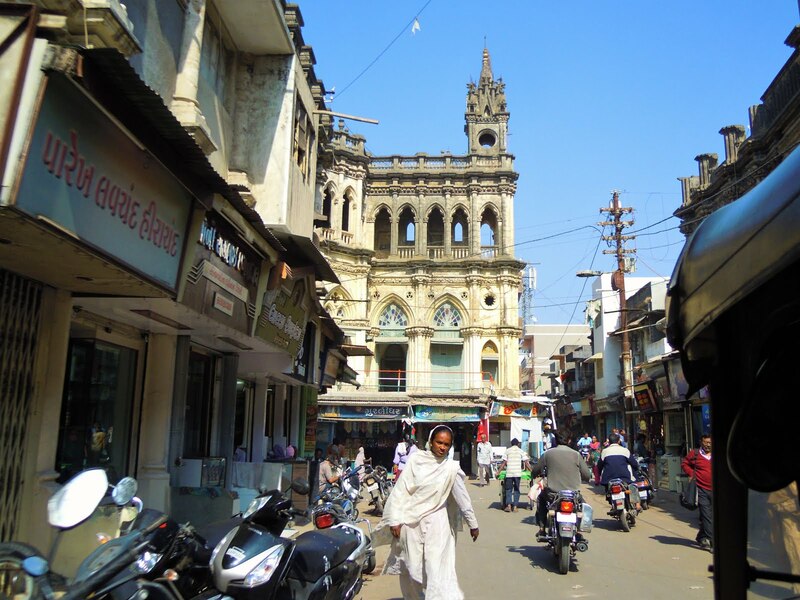 We started from Mumbai at 7:00 Am sharp its New Year day(Hindu), so we planned to stopped at Dahanu-Mahalaxmi Temple first. We reached there by an hour and half, as expected due to New Year very long queue is waiting for us. We finished there in more one and half hour, then we planned to take breakfast over there only, we had some hot Vada Pav & Misal Pav along with Sugarcane Juice. 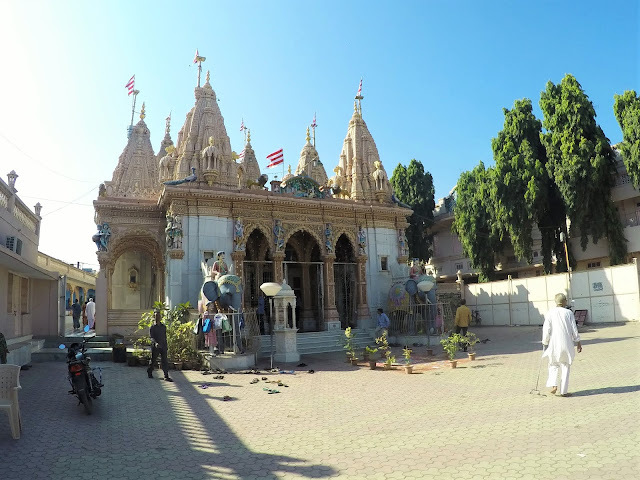 Journey stared, then we had halt at Dada Bhagwan Trimandir on Kamrej Chowkdi, Surat. 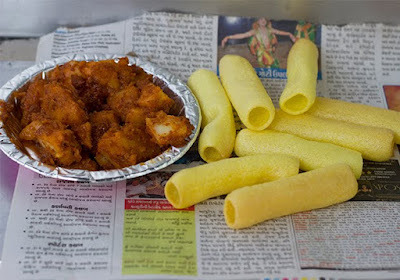 We planned to have some prasadam there ( Rs.40/- each, food is ok ). 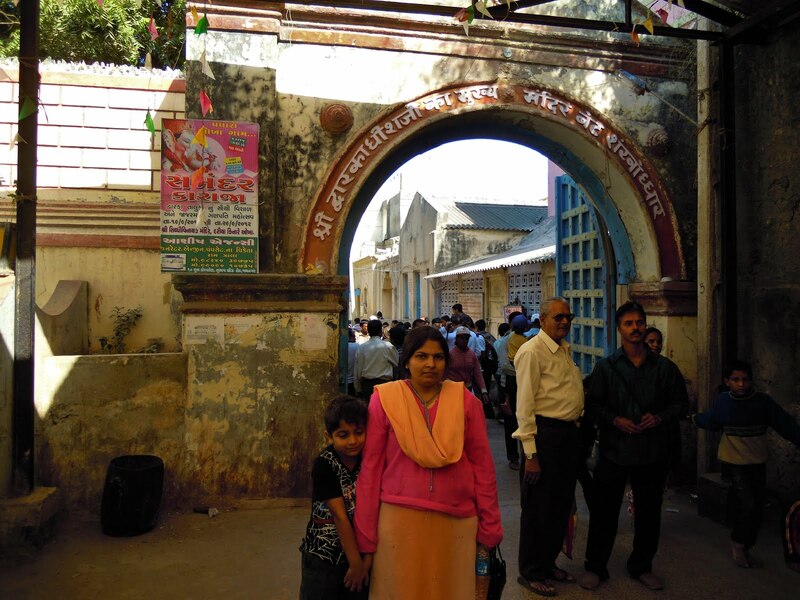 After having lunch we visit nice temple of Krishna, Shiva & Parshwanath and again proceed to onward journey. 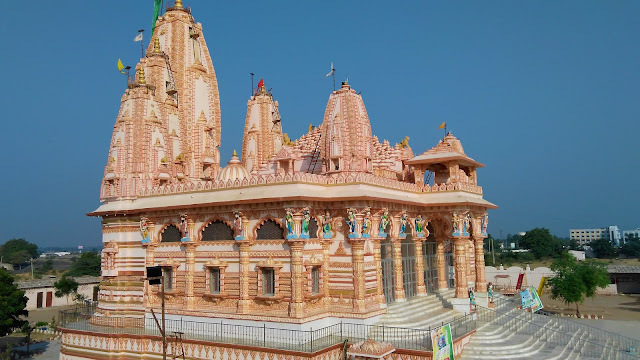 We decide to take night halt at Dakor (Holy Place Famous for Temple of Shri Ranchodrai ji) we reached there by around 6:00 PM. 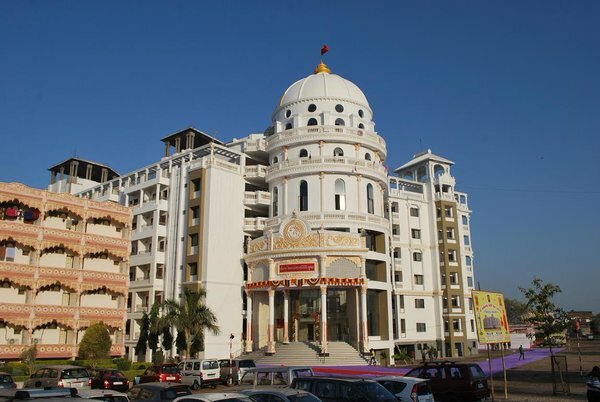 There are so many hotels, Guest House & Dharamshalas Available out there, but we decided to spend our night at Shree Swaminarayan Temple near GSRTC Bus Stand. They charge Rs.250/- per room (4 Person). Rooms are ok & self-contain. In Morning we took Darshan of Shri Ranchodrai ji and visit Gomti Talav, and planned to have famous GOTA as a breakfast, along with Methi (fenugreek) Aloo (Potoato) & Mirchi (chilli) Bhajiya. Then we started our onward journey, we decided to visit all Swaminarayan Temple coming on the way. 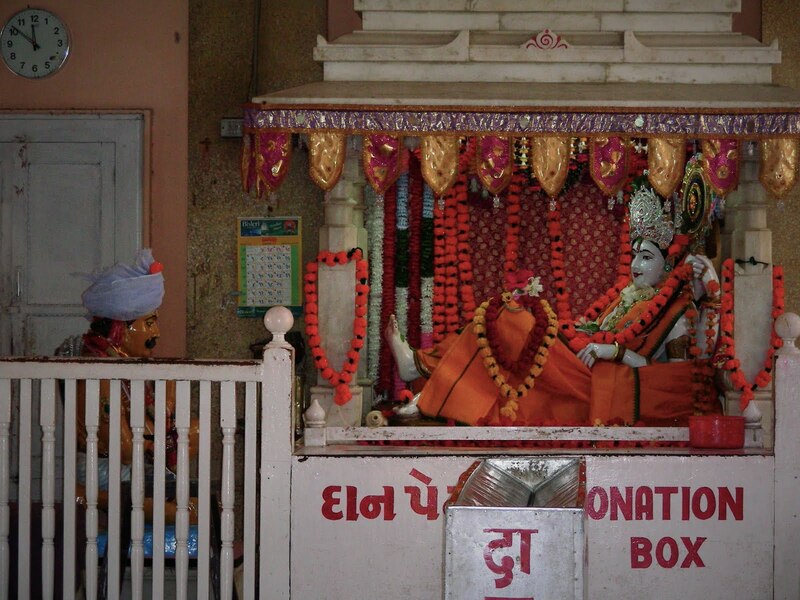 Within an hour we reached at Vadtal near Anand, a very famous for one of the Shree Swaminarayan Temples in Gujarat. 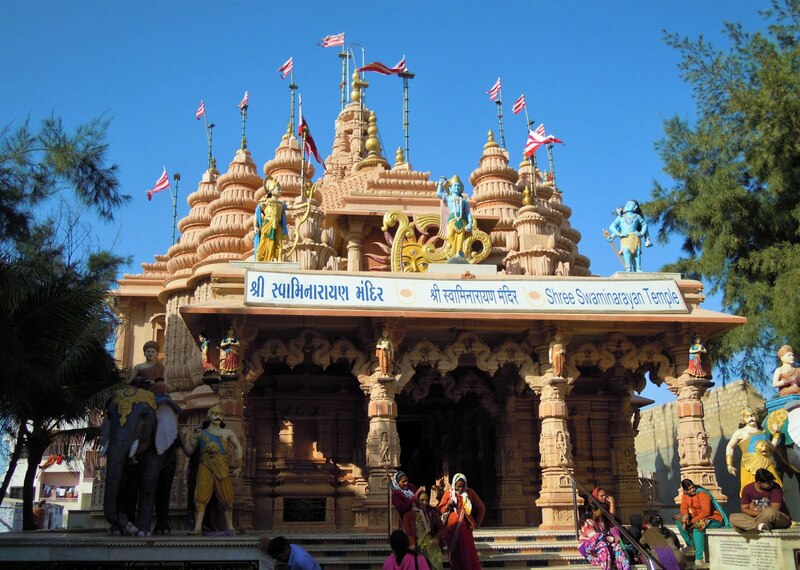 We have faced very heavy rush ( Due to Diwali Vacation ) avoid this days, after taking darshan we move ahead towards Dholera, also famous for Shree Swaminarayan Temple, it took another 3 hours to reached there. by more 2.5 hour drive we reached there by 5:30 PM. 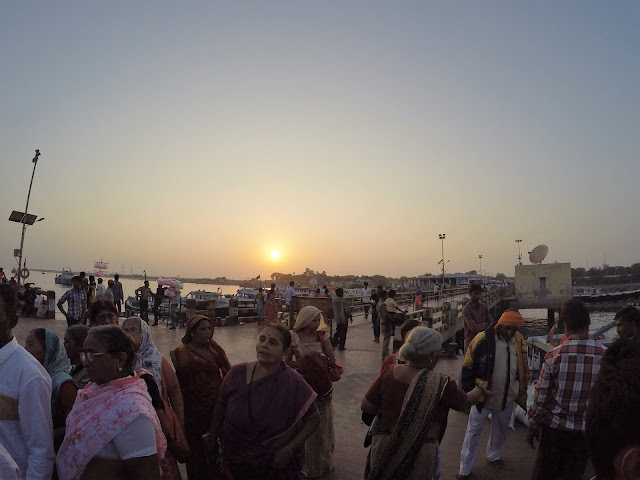 But that day was Saturday, a place is fully crowded by devotees not even place to park a vehicle, somehow we managed it. There is two huge guest-house available for visitors and one new VIP guesthouse recently opened. 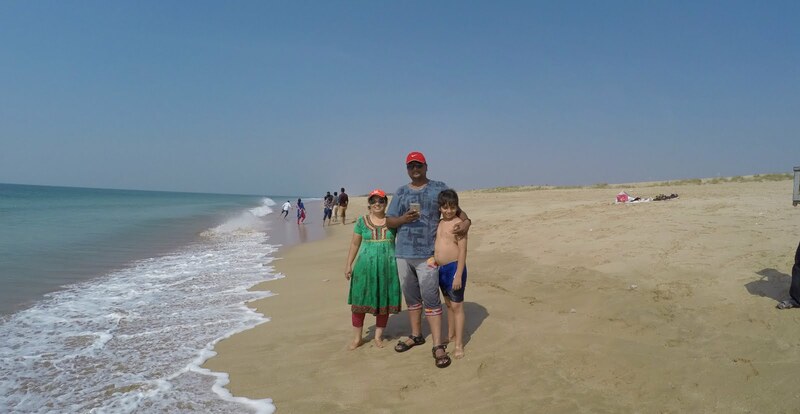 But there was not a single room available, we were just shocked, as usually it doesn’t happen, they have plenty of rooms but this time all were full,(also Due to Diwali Holidays) I met the guy in office and requested him to arrange a room for just one night as we were family. Somehow he manage us to allot one room in VIP Guest House (Rs.600/- Day, Check-out 9:00 AM) normally there is free accommodation available in old guest house (Rs.50/- Refundable). The new guest house is very neat and clean with all modern facility’s, rooms are also very nice and spacious. Then we proceed towards Gadhada another famous place for Shree Swaminarayan Temple, we reached there by around 2:00PM and had Lunch in Temple (while journey we avoid to eat out side food because its oily & spicy & it may upset your stomach, the food which serve in temple is simple but healthy & we also consume it as a prasadam. 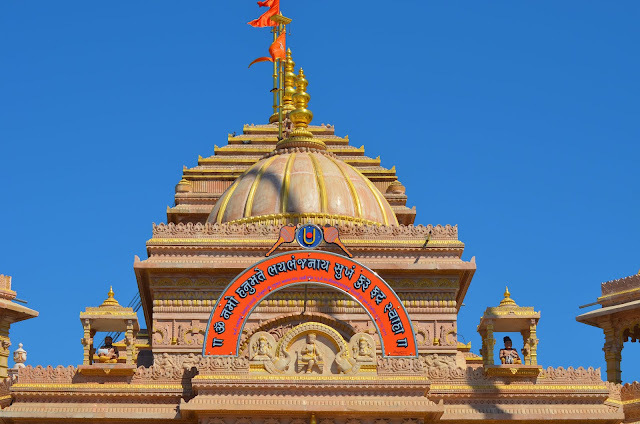 Normally in all Swaminarayan Temple food is served free to all, But we always donate some amount in Donation Box). The Darshan was closed at that time, we have to wait till 3:30 PM, after taking darshan we moved towards Jetpur. Jetpur is Historic Place and also famous for Shree Swaminarayan Temple, its also call Gadisthan, to reach the temple you have to pass very narrow streets, but the temple is situated in huge area, there is free accommodation & food available for devotees. Rooms are good and even food is also very good and healthy. 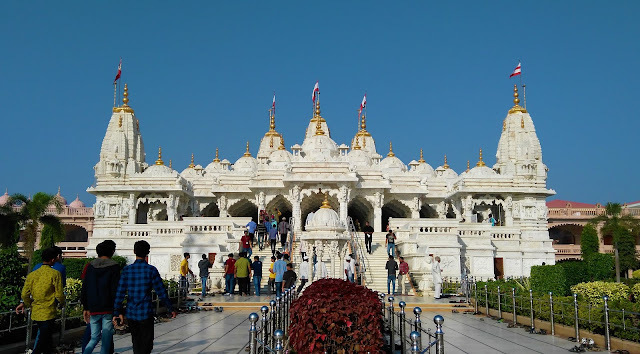 Next Day morning first we had taken breakfast at the temple & have planned to visit the city and then proceed towards Junagadh, but someone in temple told us about Samadhi (Tomb) of Sat Devidas Amar Devidas, a famous Sant of Gujarat, a place called Parab Dham. We decided to visit there, and reached there by 11:30 AM. Junagadh has many places to visit i.e. Upparkot Fort, Darbar Hall Museum, Sakkarbaug Zoo, Tomb of Nawabs and even street of city is also remind you an royalty of old golden era. 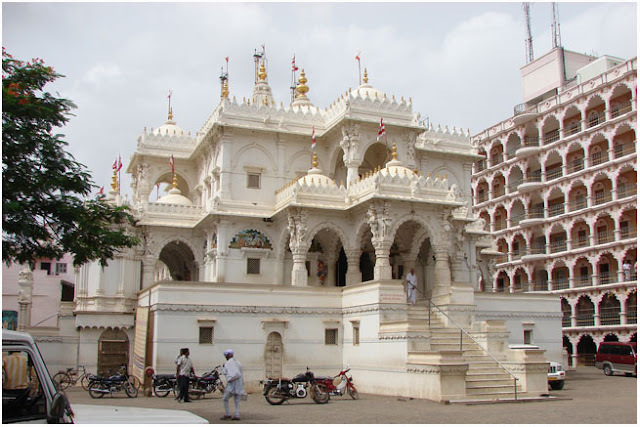 We reached Junagadh by 2:00PM we had halt at old Shree Swaminarayan Temple and had lunch over there. 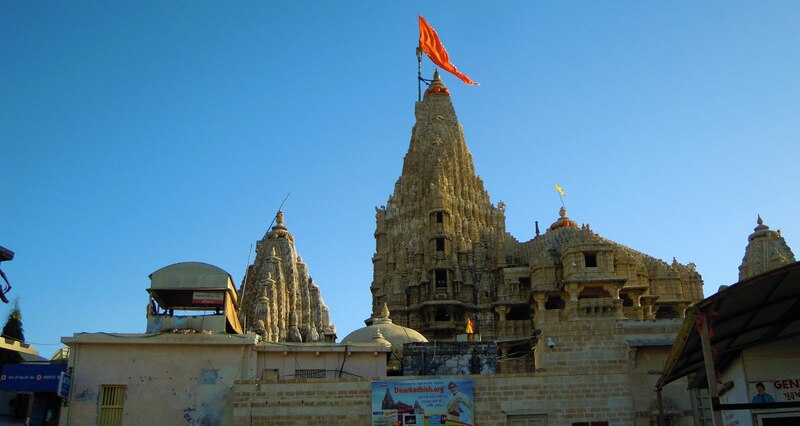 After taking darshan at 3:30 PM we proceed towards Somnath as our next destination. 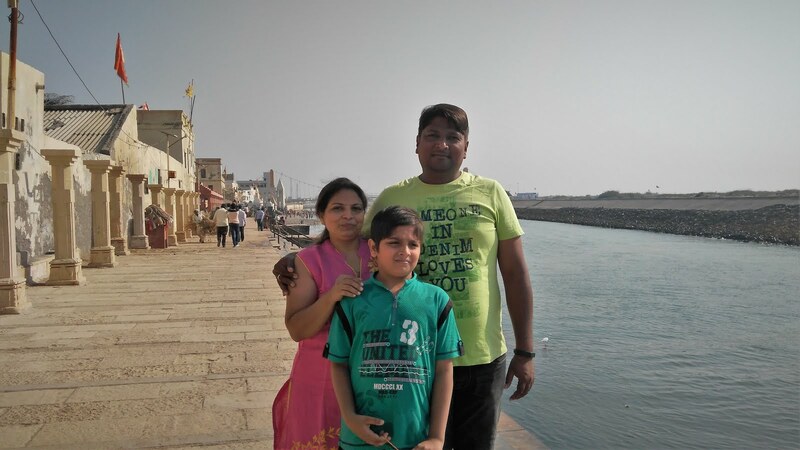 We reached Somnath by around 6:30PM and had stay at Somnath Trust Guest House (Rs.500/-). 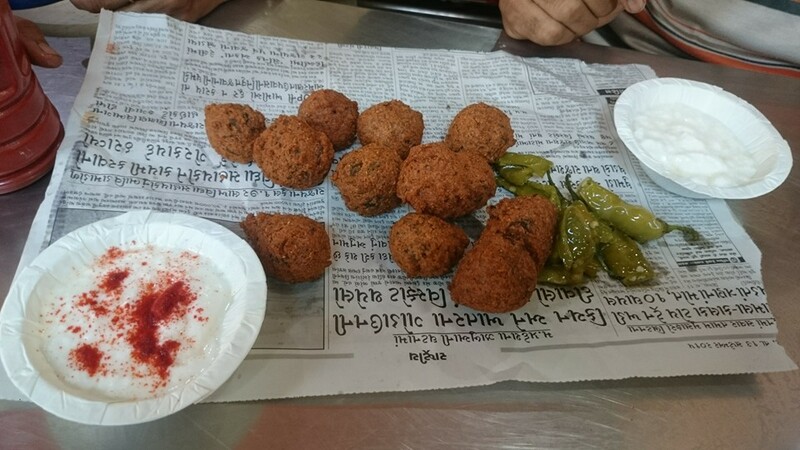 We decided to have some street food as my son was getting bored by eating normal food. so we had some Pavbhaji, Dosa & Chinese food. 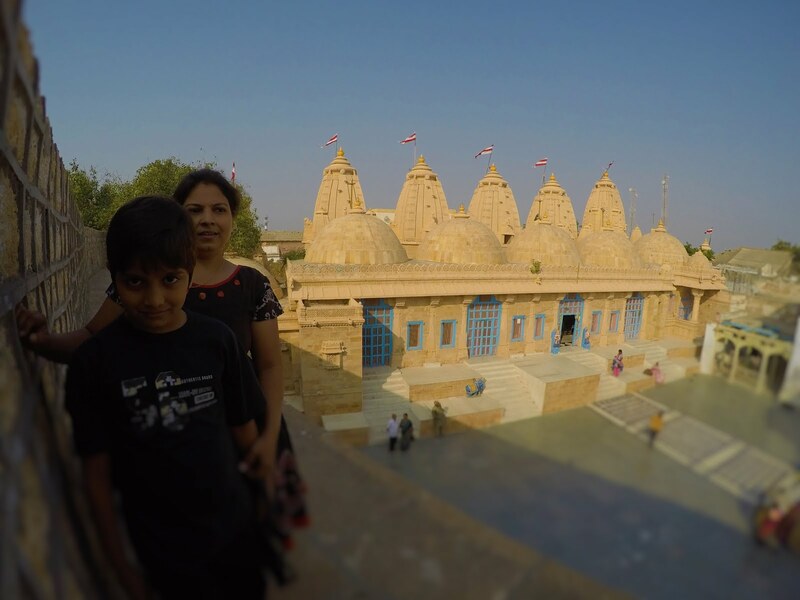 Temple is open from 6:00 AM to 9:30PM, so before returning to room we took darshan of shree Somnath Mahadev. Then visited Surya Mandir Just opposite to it & then Golok Dham nearby to Sangam, Don’t Forget to have coconut water in somnath as there is very unique variety of coconut is only available in this area called Lotan its very sweet in taste. Now we need some good food, after a bit searching we found Somnath trust’s Maheshwari Bhojanalaya, in just Rs.65/- they serve Hot & Tasty unlimited food in a clean and hygienic dining room. 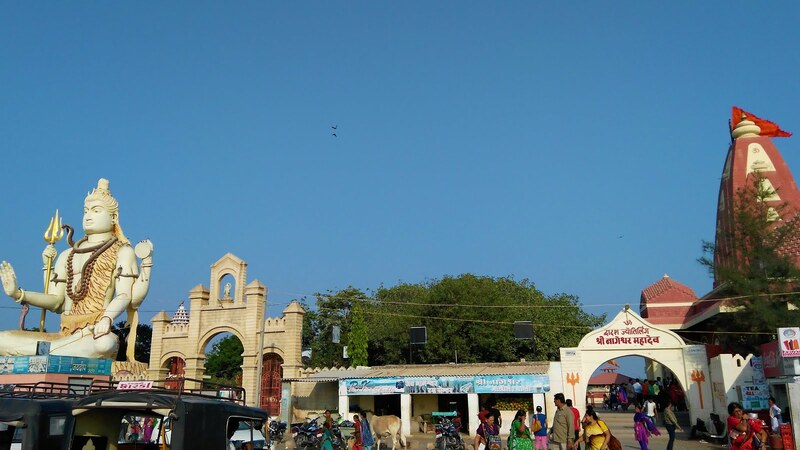 After lunch we move towards Famous Bhalka Tirth (4 Km) this is the place where Lord Krishna was hit by an arrow shot by a hunter named Jara, after which he is said to have left the earth for the heavenly abode. 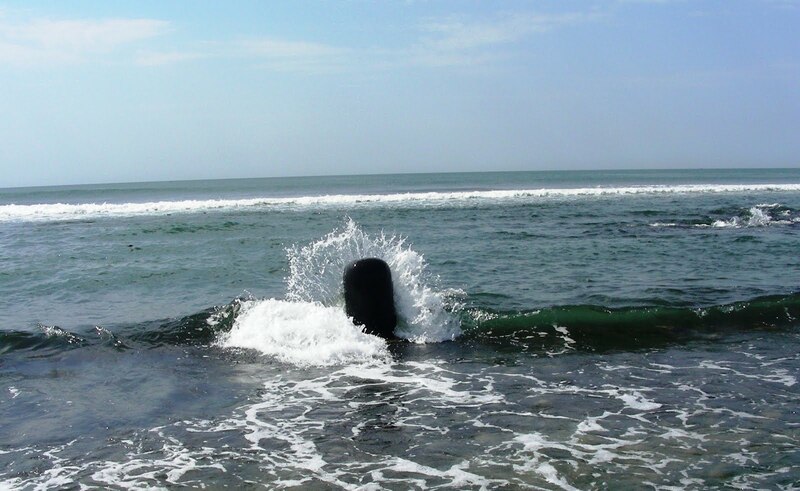 This Temple was under Renovation (in Nov.2015) after that one more place where very few people visit is called Banganga, where you can find Shiv linga in sea itself, you can actually touch and do Abhishek of sea water by yourself, Its a great filling. 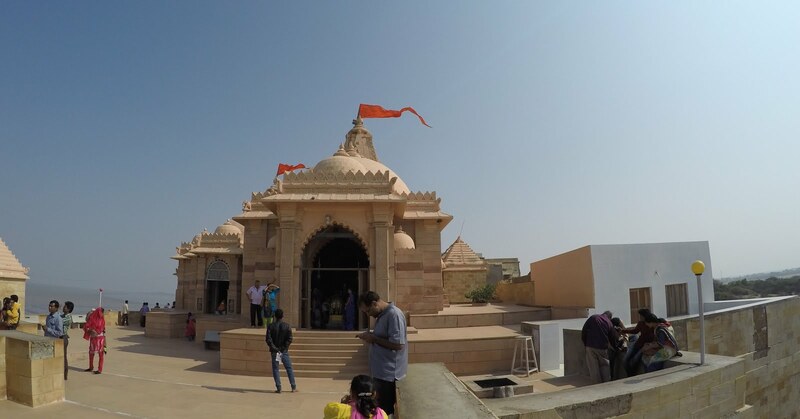 After that we returned to room and had some rest, because we have planned to attend Light & Sound Show at Somnath Temple which starts from 8:00 PM till 9:00 PM. at 6:00PM we had darshan and had some light breakfast, after that we booked our tickets for the show (Rs.25/-PP). 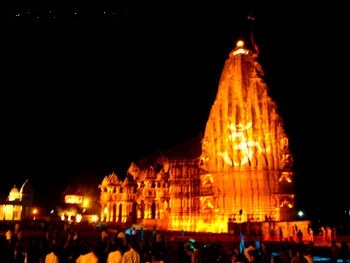 The show was started on time, there are so many people with us for the show, lights are projected on Shikhar ( Main Dome) of the Temple with Sound of Famous Artist like Amrish Puri, Paresh Raval Etc. 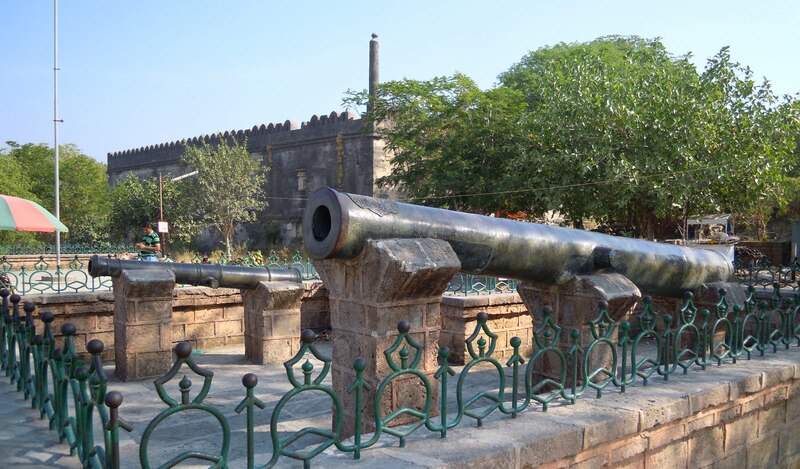 describing history of Somath & Prabhas Patan Kshetra, Must watch the show. Next Day after having Breakfast we moved towards Dwarka our next Destination, we took coastal route to enjoy our ride, on the way you can stop n enjoy breathtaking Arabian sea with Crystal clear water and white sand. 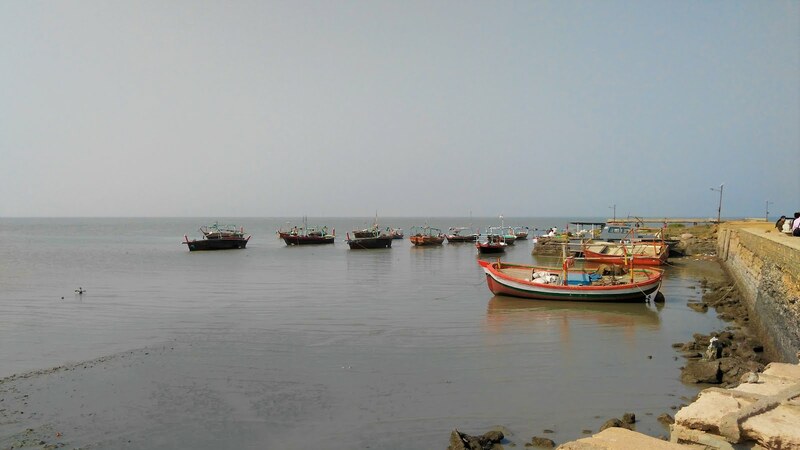 We spend an hour on beach and then moved ahead, we stopped for lunch at Porbunder (A town famous as a birthplace of Gandhi Bapu). Without wasting more time we continued our journey, one thing specially want to mention that during this entire route you will find more than thousands of wind turbines. 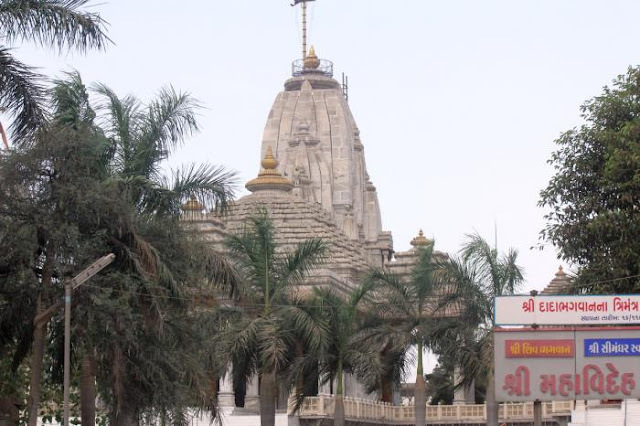 We reached Dwarka by around 6:30 PM, it’s very long Drive. We Planned our stay at Lohana Athithi Bhavan, a nice place to stay (Rs.380/-). 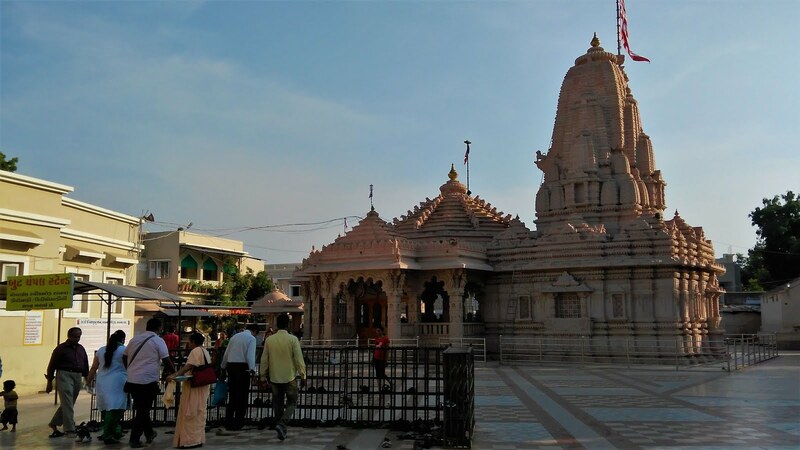 After taking last darshan of Shri Dwarikadhish ji at 9:30PM we had some Street food, and also booked our Dwarika Darshan Tour Package for next day operated by Dwarka Nagar Parishad at Rs.80/- per head. (There are two trips in a day first on 7:45 AM and second on 2:00 PM Book your tickets in one day advance). 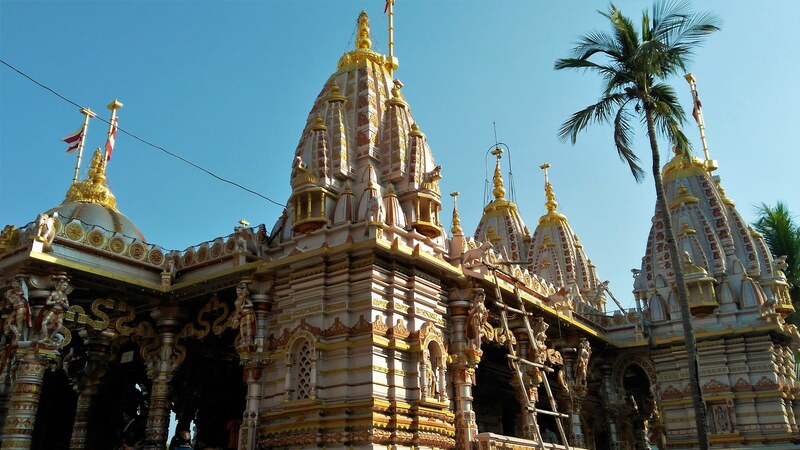 Next Day after taking Breakfast we visit to Dwarikadhish Temple for darshan, after that we roam around and visit Gomti Ghat, Shree Swaminarayan Temple, Gayatri Temple etc, you can also find one light house on the coast. After more 20-30 mins. 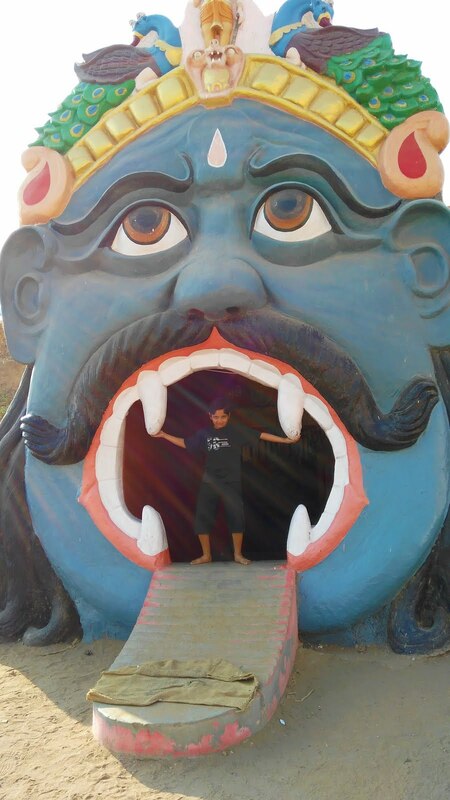 drive we reached to Nageshwar Temple, One of the Jyotirlinga, A giant Statue of Shiva outside the Temple is just awesome. We were allotted 25 mins.Time here, so we rapidly finished the darshan and took some photos with statue & back to bus. 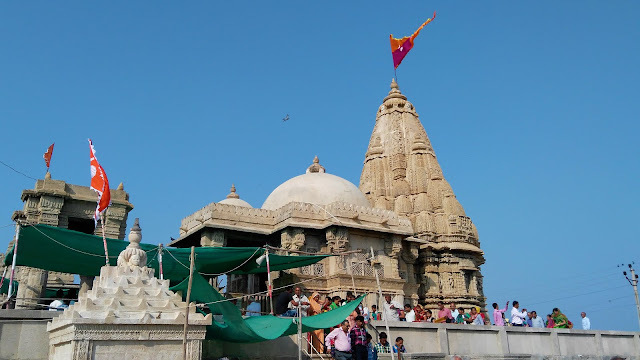 Our next stop is Gopi Talav a scared ancient lake, When Lord Krishna relocated to Dwarka, the gopis were heartbroken at being separated from him. The myth also states that the gopis could not bear their separation from Lord Krishna. They offered to sacrifice their lives to the land so they could eternally merge with their loved one. The legend further states that the gopis transformed into yellow clay material, which is now known as Gopi Chandan. 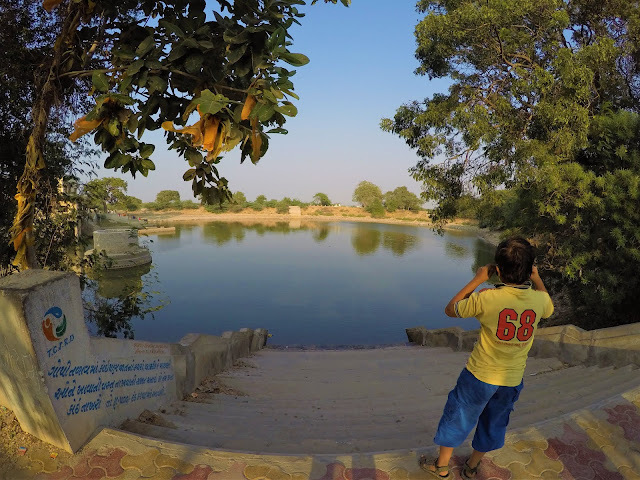 Even today, the soil found near the Gopi Talav's soil is yellow in color and very smooth to touch. 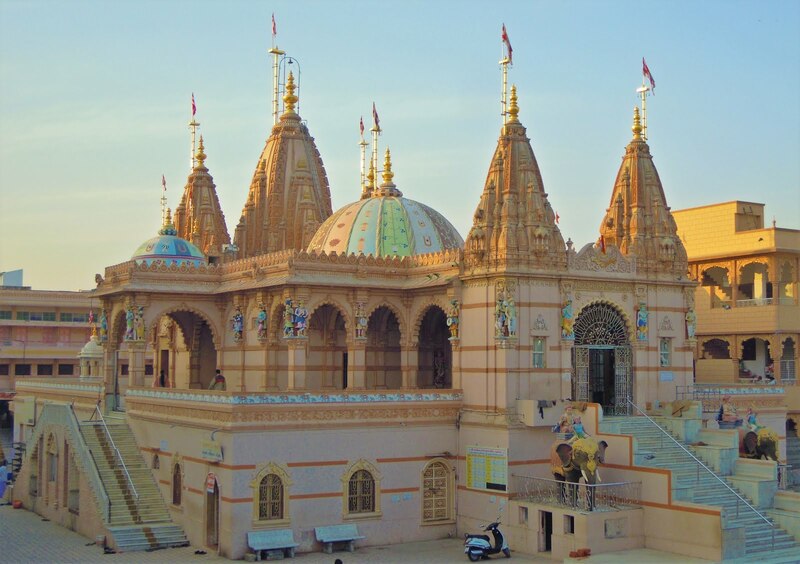 Just visit this Place & try to stay away from local fake Temples trying to fool devotees (as there is a Temple in every house so avoid it). Our Next destination was Bet Dwarka, Bet Dwarka is considered the part of the ancient city in Indian epic literature Dwarka found in Mahabharata and Skanda Purana. 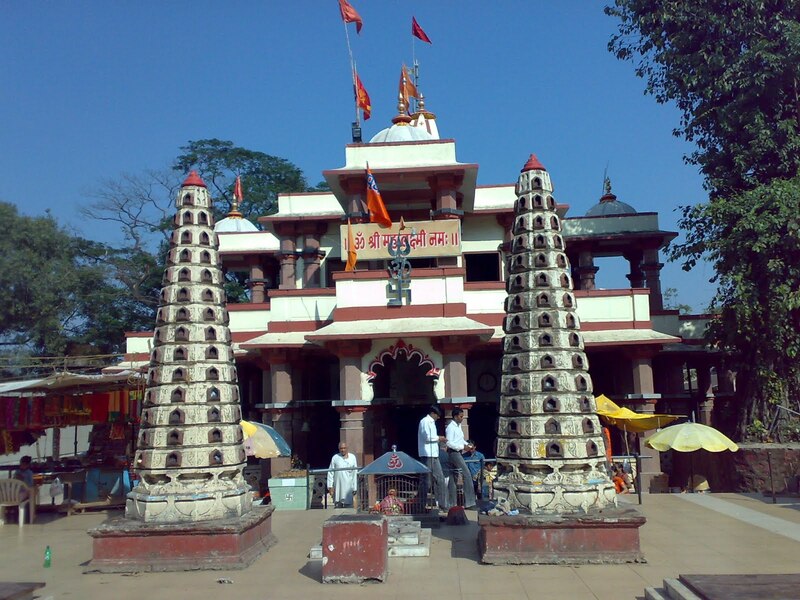 Dhwarkadhish Temple and Shri Keshavraiji Temple are major temples of Krishna. 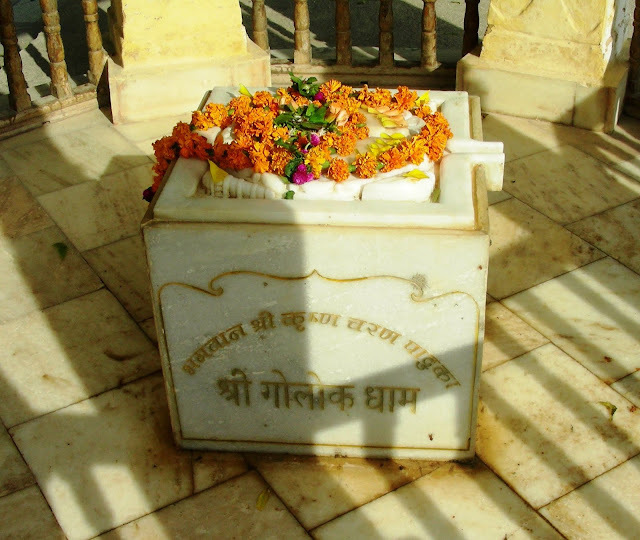 Hanuman Dandi and Vaishnav Mahaprabhu Bethak are also pilgrimage places. 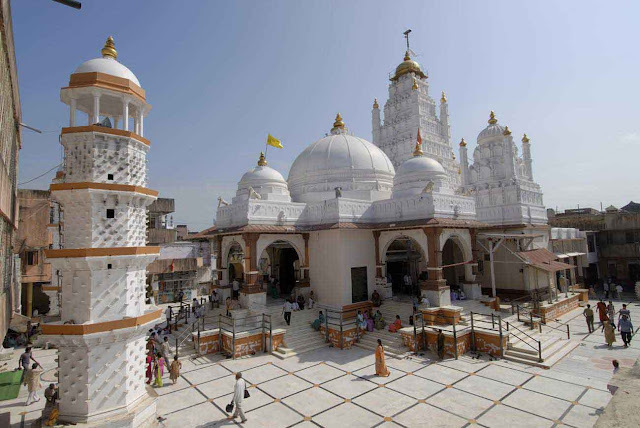 Sidi Bawa Peer Dargah, Haji Kirmai Dargah and Gurdwara are also situated here. But to visit all this you need to spare one full day here, to reach here you need to take ferry boat from okha jetty, they charge Rs.10/- per head,(boats are overcrowded during Vacations) it will take around half an hour to reach the Bet island, from Bet jetty the main temple is just 5-10 mins walk away (don’t catch any auto if you can walk), we just visited the main Dwarkadhish temple, In this temple they ask you to make rice donation, stay away from them, (as per my opinion) and returned back. We have to reach at bus by 7:30PM last. ( Normally they wait for all passengers to come back) Bus drop us back to Dwarka around 8:30 PM. After having yummy Kathiawadi Dinner on street in front of Dwarka Darshan Office (Recommended Place) and Ice-cream we ended our day in bed. Next day after taking Darshan at Shree Swaminarayan Temple we have Some Kutchi Dabeli & Kadak in Breakfast. 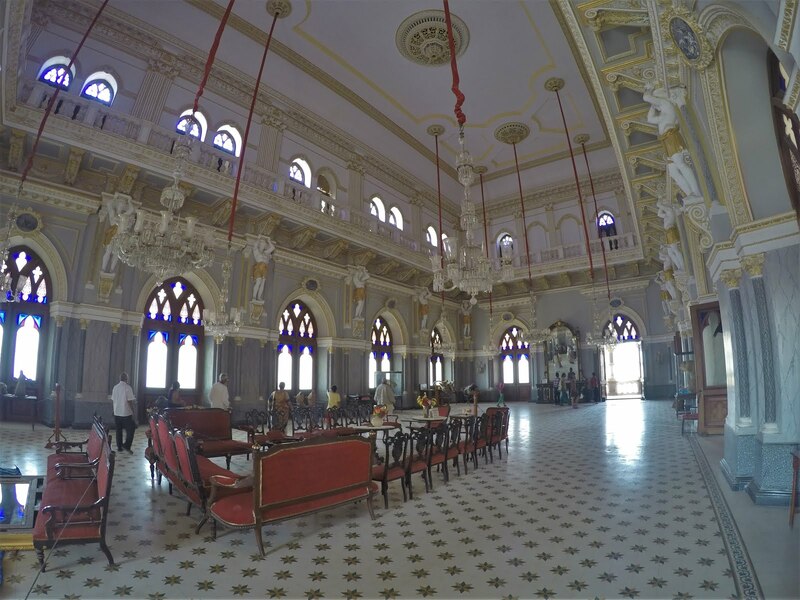 Then we also visit old Swaminarayan Temple & then Pragmahal Palace, Aaina Mahal Etc. 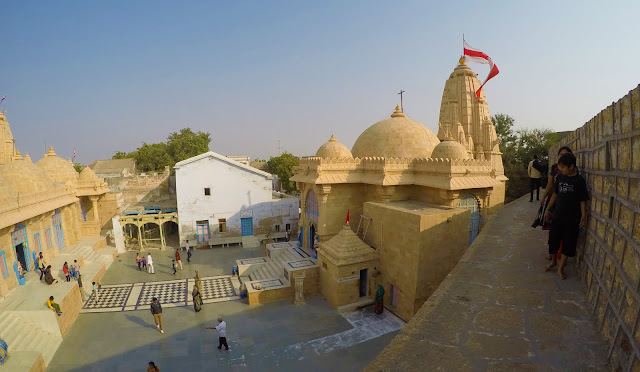 Then we heard about Mata na Madh, a very Famous Temple of Shri Ashapura mataji around 160 Kms away from Bhuj, we Immediately pack our bags and moved towards it. We reached there by around 3:00PM and after taking divine Darshan of Shree Ashapura Mataji, we planned to stay there. 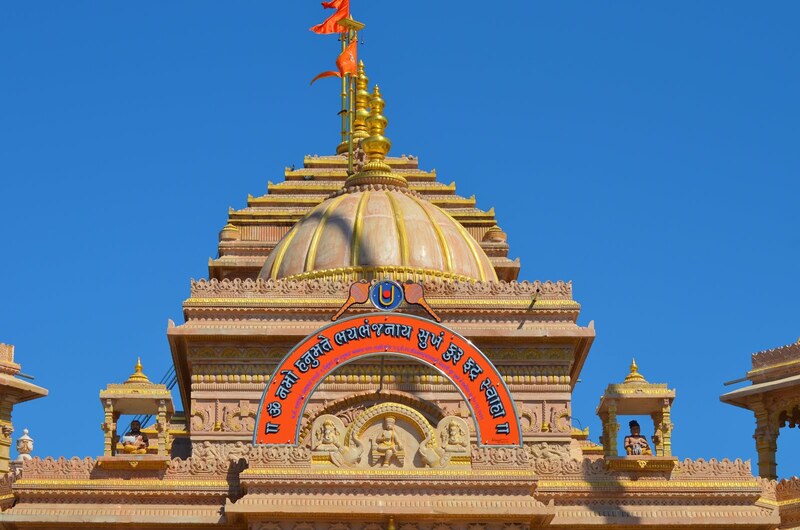 Mandir trust is also Providing Free Stay & food for all devotees. 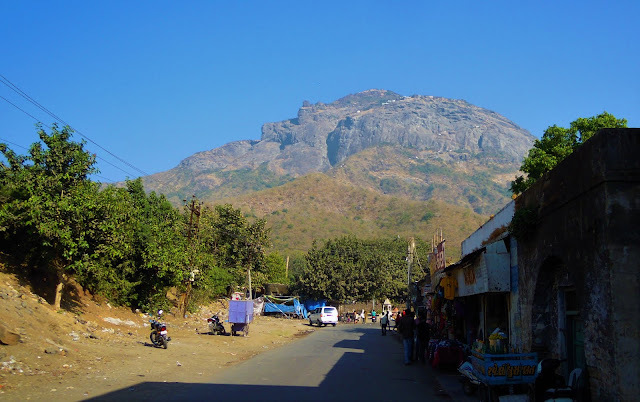 A very nice place to stay, we got AC room in just Rs.400/- for two + Rs.100 for extra bed. (Check-out 10AM) it’s about to sunset & I don’t want to miss it, but in shifting of luggage we missed it. 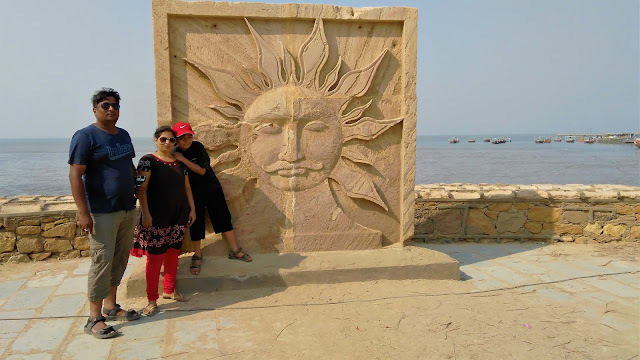 On the coast there is an Historic Temple of Shree Koteshwar & Shree Nageshwar Mahadev, we visited that and enjoyed post sunset view, there is one BSF Check Post on the coast and no one has permission to cross that. There is free Annakshtra (Eatery) running by Narayan Sarovar Trust, we planned to have Prasad over there, the food was ok.
Next day after having Tea & Breakfast I can’t stop myself from visiting Koteshwar again, it’s such a place you can’t explore it by visiting once. We entirely discover the place and its history. 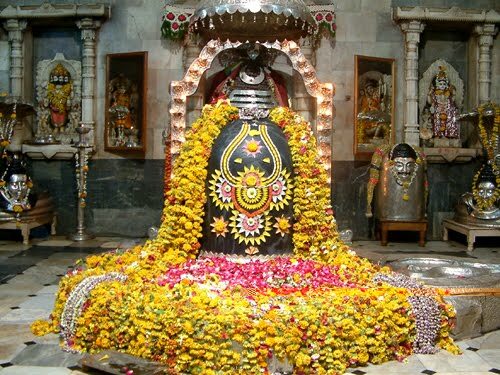 When Lord Shiva was delighted with the worship of Ravana, he gave him a Shiv Linga full of religious power. Lest Ravana should become endless as a result of this advantage, all the Gods united together and conspired to gain the Ling from Ravana through dishonesty, for that Lord Bhrama took face of Cow and fall in mud and start shouting for help, rest of gods act as they are helping, Ravana watch all these and join them for help and while helping by mistake he put the Linga on the ground, but when he return back He found there is one Koti (Million) Lingas, He got confused which one is original, finally he took one of them go on his way and then gods installed original one as a Kotilengeshwar (Now Koteshwar). Still you found so many Lingas around Temple. 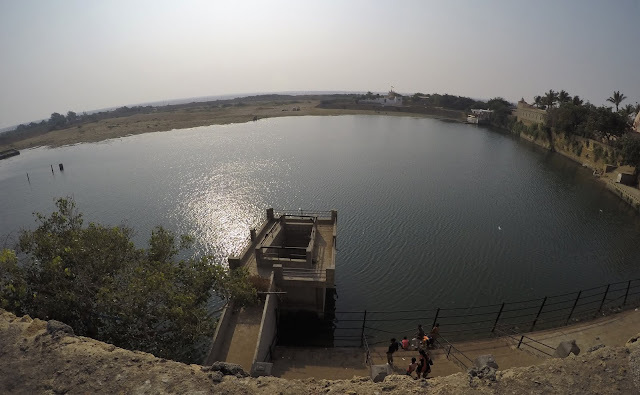 Next we visit to Narayan Sarovar Lake a scared place Known for one of the five scared lakes, Panch-Sarovar for Hindus. Sarovar means Lake. 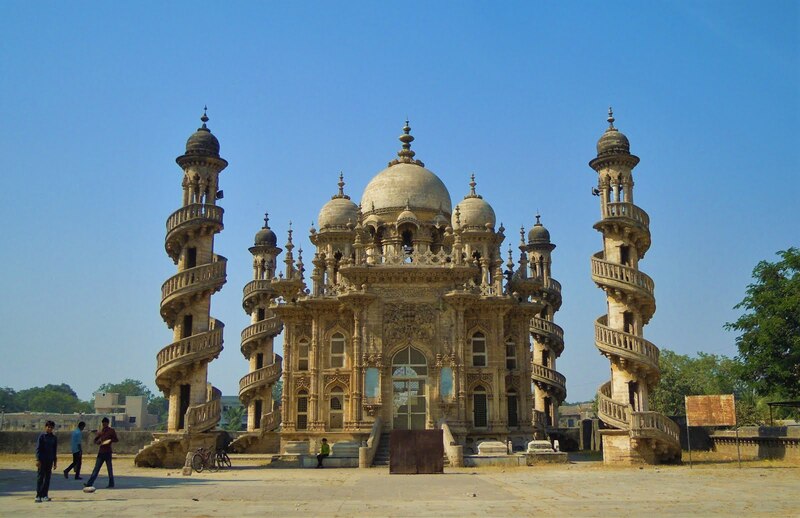 These famous Sarovars are Narayan Sarovar, Bindu Sarovar (Sidhpur, Gujarat), Mansarovar (Tibat -China), Pampa Sarovar (Hampi , Karnataka) and Pushkar Sarovar (Rajasthan). 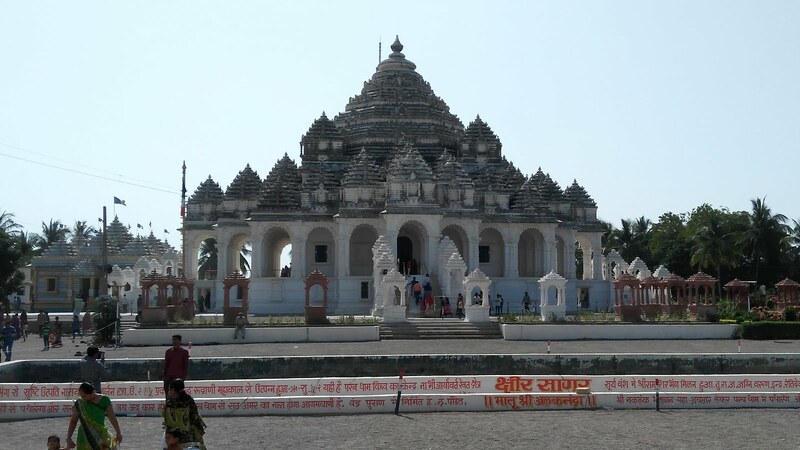 There are different temples inside the main complex, the main Temple of Shri Trivikramraiji. Narayan Sarovar is on right side of the temple. Devotees take a Parikrama (or circulating the main temple) on the walkway prepared on the wall. 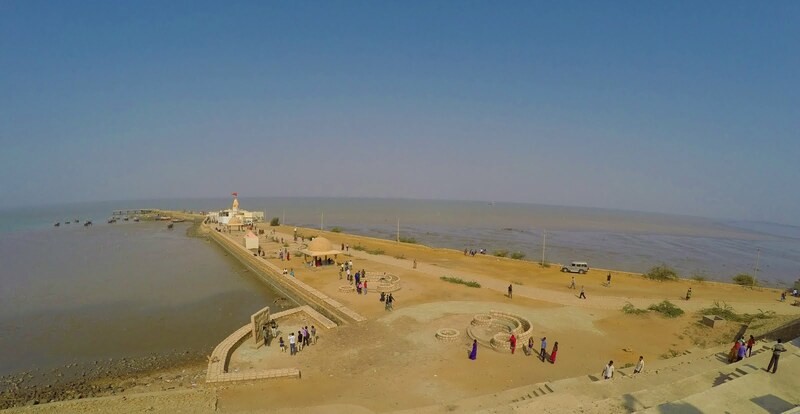 Narayan Sarovar is a fresh water lake surrounded by sea. Due to absence of rain the lake was dried up and few water was there on dry bed of the lake. 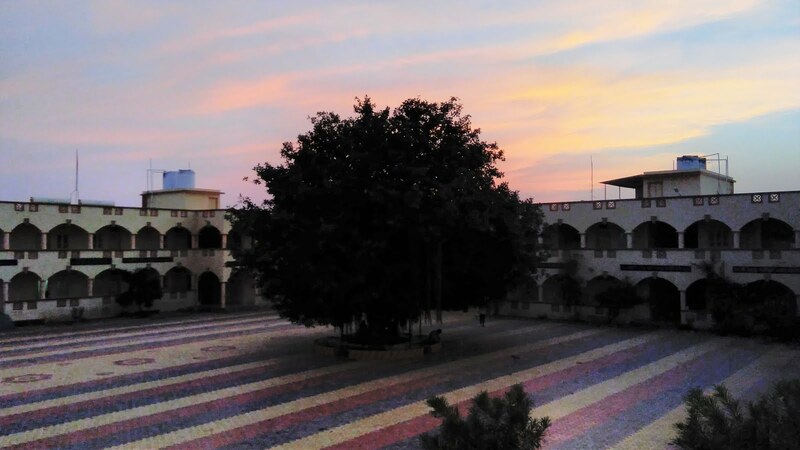 its evening now & we have seen Naklank Gurudham situated on SH-7, Shaktinagar, Halvad, very beautiful place, we just halt there for darshan & then we come to know that they are offering free food and Shelter to devotees,we decided to stay there. 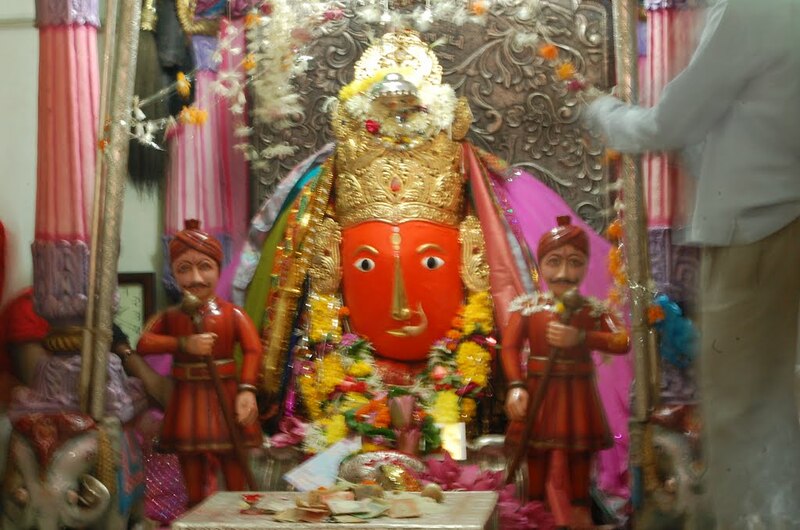 Next day we visited main Temple, inside main temple you can find idol of various gods with Sant Ramdev ji, a man made cave called Bhairav Gufa is also there. 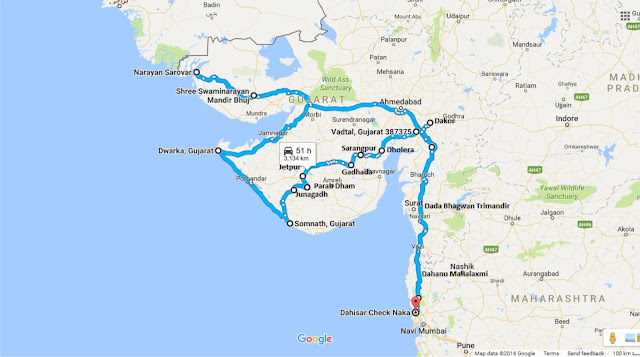 Must visit this place if you are on this Route. After that we started early, as we had long journey back to home we continued via Dhangadhara – Sanand – Nadiad – Anand – Vadodara – Surat – Vapi and back to Mumbai. I hope this will br helpful for you, if you are visiting this route.